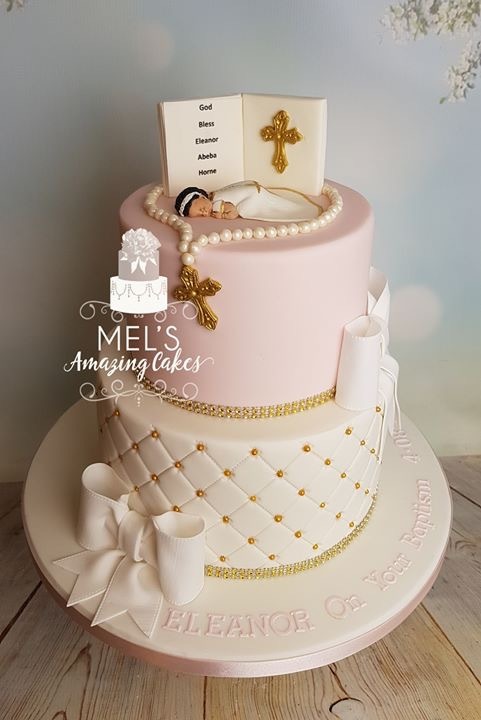 Two tier pink and white cake with quilting effect, fondant bows, cross necklace, book and trimmed with diamante. There is a small model on top to represent the little girl. This cake can be made in any colour to suit your theme and can be made in other sizes to suit your requirements. Please contact us for more information. How can i get one of these cakes? 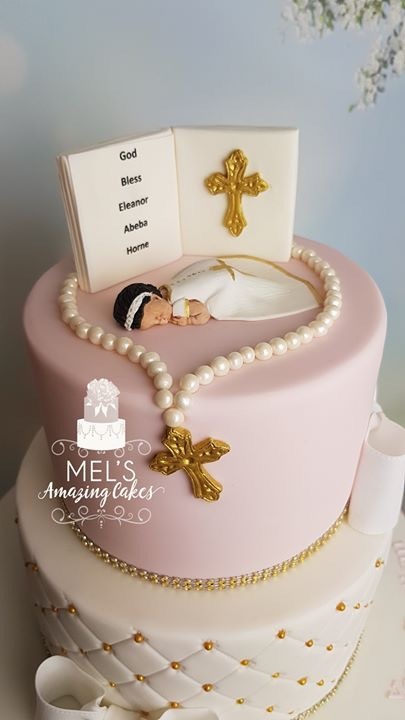 If you would like to order this cake or something similar for your babies christening, please get in touch. 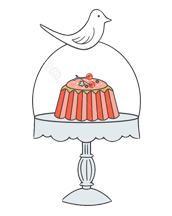 We can custom design the perfect christening cake for your little ones special day. 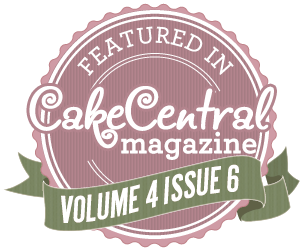 We are constantly designing new cakes for all occasions, ask us for advice about the perfect cake for your next event.